I just have to share this super sweet green smoothie recipe with everyone! This yummy concoction is easy to make and if you just aren't feeling a salad today, this is the perfect way to get your greens in! 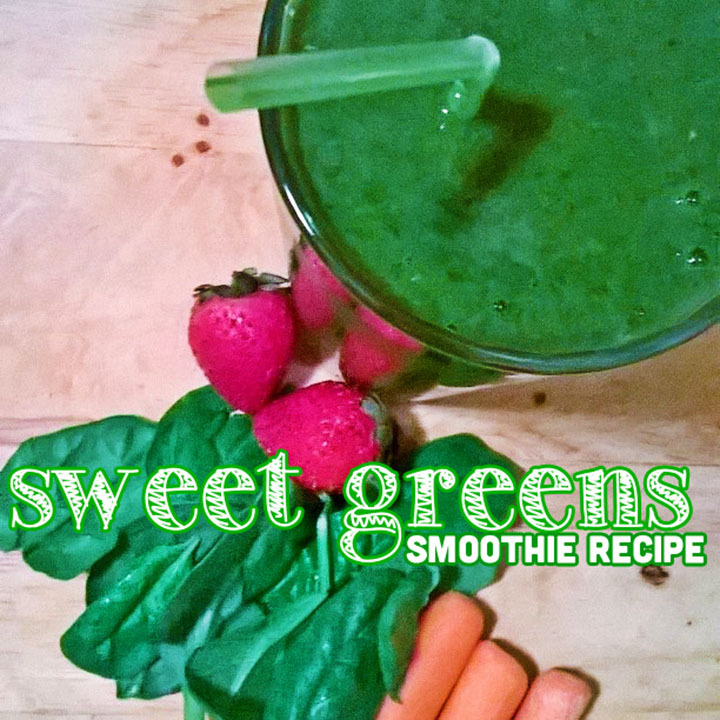 You'll fall in love with the the sweet fruity flavors masking the healthy spinach, kale, and carrots! I suggest you go ahead and blend the cherries, carrots, kale, and almond milk first - allowing them to really liquefy. Then add in the spinach blend, strawberries, and banana and continue to blend. I promise you'll fall in love with this sweet green smoothie recipe.